When I went to Garut, I didn’t know what to bring home as souvenir. I remembered dodol garut (a kind of taffy), dorokdok (a kind of chips made of animal’s skin), and of course garut sheep. But I didn’t know that the leather jacket is typical of Garut too, until my wife’s brother told me. 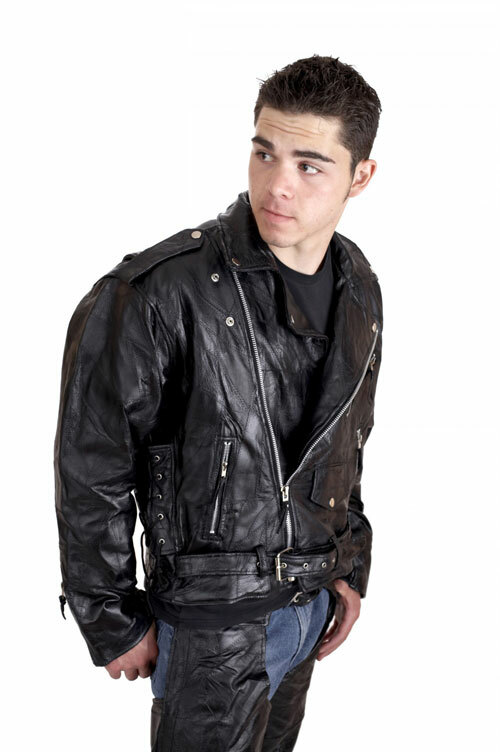 Garut is one of the best leather jacket manufacturers in Indonesia. All of the raw material is supplied from the sheep husbandry across the Garut Regency, or at least West Java Province. Actually, it’s not just jackets. You can see also shoes, hats, vests, wallets, sandals, belts, gloves, pants, and other fashion products made by leather. Be it leather of sheep, cow, or bull. “Everything is made of leather, if it is possible,” said a Garut citizen to me. But, their main product surely is leather jacket. If you are searching high quality of leather jacket, come to Garut. You can find many models. You can even bring your own design to the artisan. Wow, it’s new information for me. I don’t know that leadher jacket from garut was papular. Like you, one that I remember from Garut is Dodol Garut. Because when I was just a litle boy, I like eat Dodol Garut. Maybe sometime I will bring my own design. Are there extra fee if I bring my own design?? How many rupiah? Of course there will be an extra fee. Not much, though. It depends on what color, size and design do you want. An XL, certainly, is cheaper than XXL jacket. If you want a leather jacket whose color is not black and brown, prepare to pay more. If you want a leather jacket with some sequin (just for example) or secret pockets, it would be more expensive too. nice leather jacket.. i wanna it so bad..
btw, i have an information, we held such an blog competition..